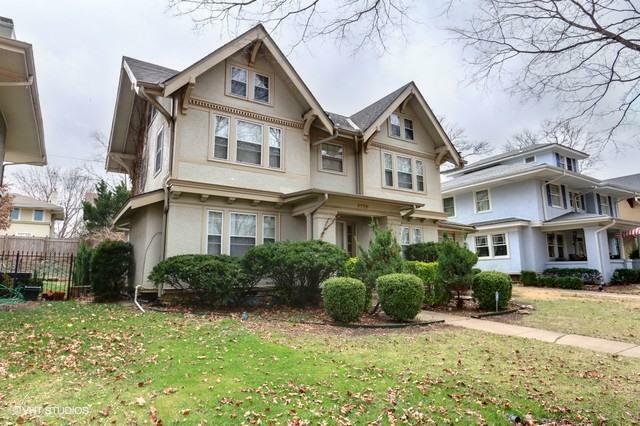 GORGEOUS 2 story Brookside Park beauty is waiting for you! This 3 bedroom, 2 1/2 bath home has so much to offer! Desirable floor plan includes beautiful original hardwood floors, formal living room with fireplace, sunroom, formal dining room, crown molding, 1/2 bath on main level, large kitchen with load of cabinets, pantry, newer gas stove and oven, refrigerator, lots of natural light. Large master suite incl master bath w/dbl vanities. deck, newer wood fence, private wood fenced back yard, detached 2 car garage. Directions: Brookside Blvd, turn east, then first right on Grand to home.